We are excited to announce the launch of a brand new training series entitled Video Business 101: How to Make Money in Video Production. This series is the culmination of countless hours of work and knowledge crammed into a complete training video. We cover all the aspects of building a successful video business, from start up to experienced producer. I’m very confident that the information shared in this series can allow anyone to be profitable in video. Plus, we’re offering it at a special introductory discount. Grab your copy today! Your video is not working. 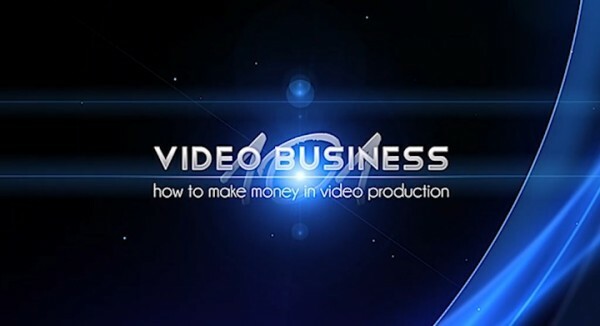 Tony, I just watched the Video Business 101 video and I was blown away. I had little movies playing in my head of videos I could create when you described the many possible niches. I’m a copywriter and I can say that your final marketing tip is spot-on. I highly recommend your training series to new and experienced videographers. Where’s the HDSLR 101 video on Technicolor’s CineStyle? I am interested to learn more on this.